Oil and Cotton is excited to announce our recent expansion into the storefront adjoining our original brick and mortar. The addition means not only more room for classes and workshops and a larger retail art supply selection, but a space for a...n ever-rotating series of art and community happenings. We invite you to come by the shop to take part in learning and creative exchange. 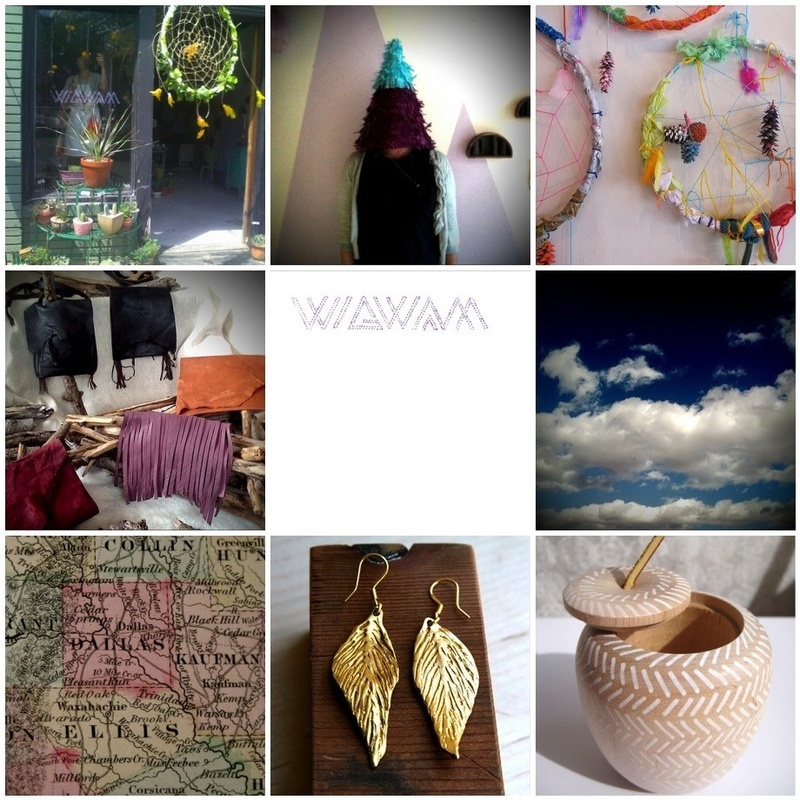 To celebrate our expansion, we're thrilled to announce that the WIGWAM pop-up shop experiment is moving in throughout April to curate and transform the space into a unique shopping experience. WIGWAM was successfully established (as were we!) during the Better Block Projects in Oak Cliff and attracted a significant fan base. It was an adventurous collaboration between eight super-talented friends who, twice, re-vamped a rough, vacant space into a welcoming shop featuring a fun mix of art and craft, new and old, and surprising additions like farm fresh eggs and potted succulents. You're invited to come christen Oil and Cotton's Art Supply Store expansion and join the kick-off party for WIGWAM'S one-month pop-up shop. Stop by Friday, April 1, from 6-10 p.m. for the grand opening. Guests are encouraged to shop, enjoy music, sips, and bites. There will be other surprises, in true WIGWAM fashion, a build-a-dream-catcher post as well a feather hair extension station. For WIGWAM three, you can delight in much of what you came to appreciate previously including: offerings from a rich network of Texas artisans, handmade gardening tools, wood crafts, sculpture, vintage trinkets, mixed media art, jewelry, printed matter and much more. Everything will be affordable priced from $5 to $500. New items will we added weekly so stop by often. Wigwam will be open Friday-Sunday, 12:00-6:00 p.m. throughout April. For more WIGWAM information, please contact Malina Pearson at malinap@mac.com. What is the address? We would love to stop by.